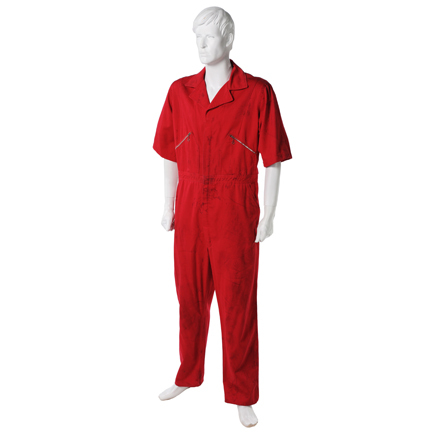 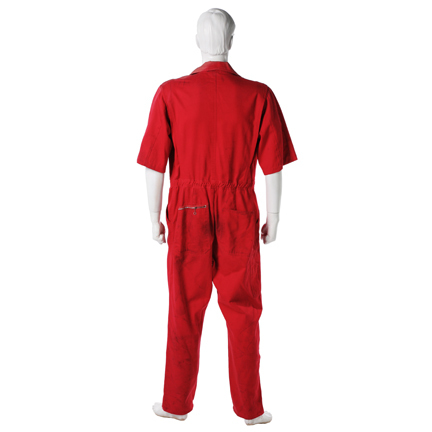 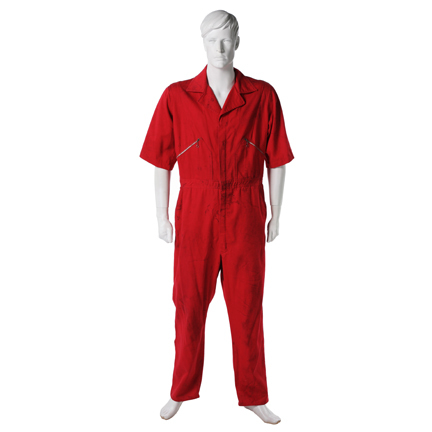 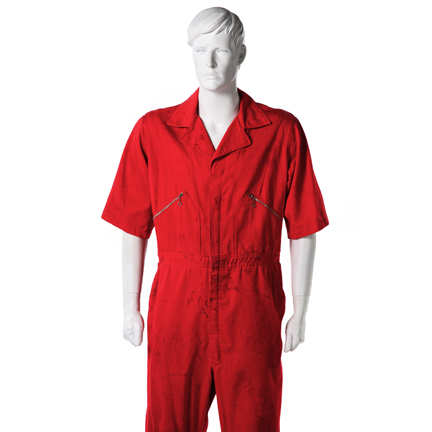 This jumpsuit was worn by the character “Chance Buckman,” portrayed by legendary actor John Wayne, in the 1968 motion picture, “Hellfighters.” The red firefighter jumpsuit has the original costumer’s tag sewn inside with the actor’s initials “J.W.” clearly written and the sleeves were shortened for use in a later production. 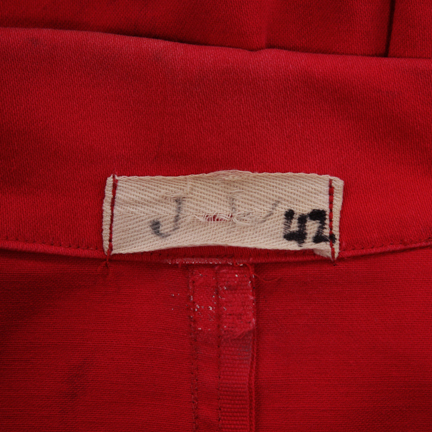 The garment has the faint outline of the original patch still visible on the back. 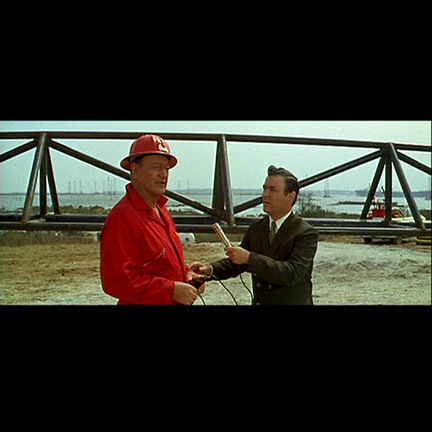 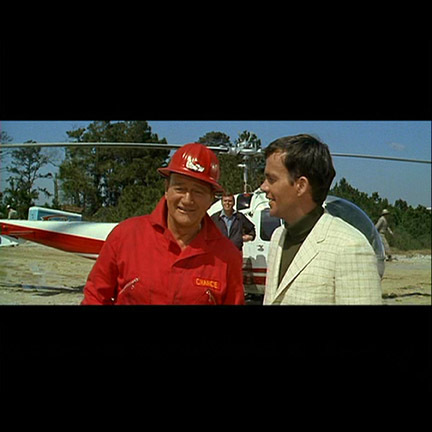 Mr. Wayne appears wearing the jumpsuit in numerous scenes throughout the film. 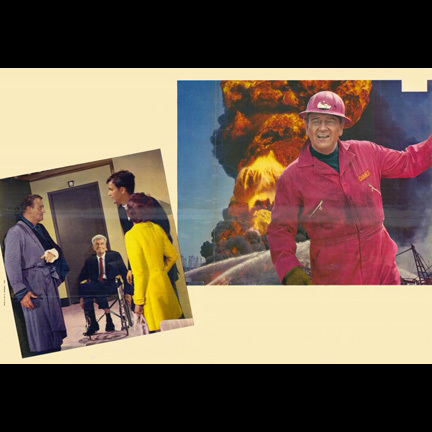 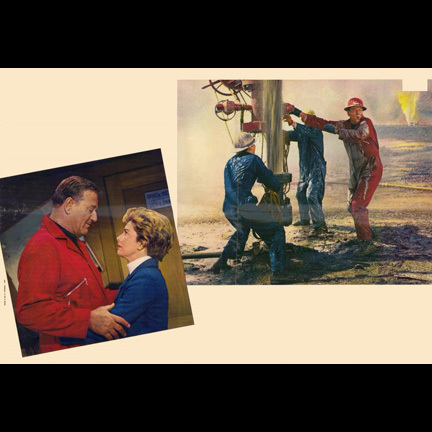 “Hellfighter” follows the story of Chance (Wayne) and his group of oil well firefighters as they struggle with the dangers of their profession.